Hello Ma’am, your receipes are lovely!! I will try the same. However, please advise how to bake the same in microwave. I am not having much experience in microwave cooking. Please help. I do all my baking only in the Oven. I hear that a Microwave on convection mode works just like an oven. So I am guessing you can bake them with the same settings on convection mode in the microwave. Those biscuits are just beautiful and would dress up any table! I tried with both Baking Soda and Powder but was not happy with the texture. So tried without and it came out right. I am afraid I am not aware of the scientific aspect but they worked 😀 And I was happy! Wow Garima, these look just perfect. I am baking one right now.. its in my oven. was too excited to wait! ! Very was recipe to follow. Thanks. I meant the recipe was very easy to follow. . My bad.. sorry for the typo!! I’m happy the cookies came out perfect! Thanks for the recipe.. Will try out soon..
your recipes are always mouth watering. 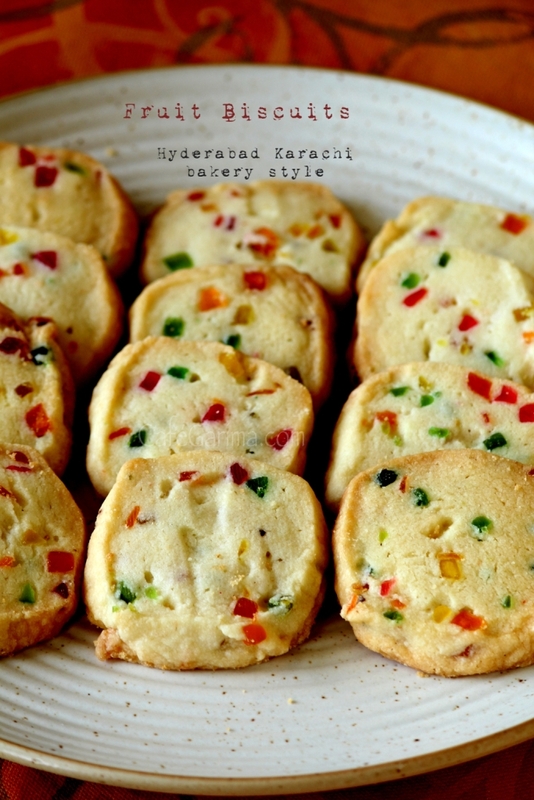 I am also gonna try to make these biscuits..iI too have a fond memory of karachi biscuits from hyderabad. 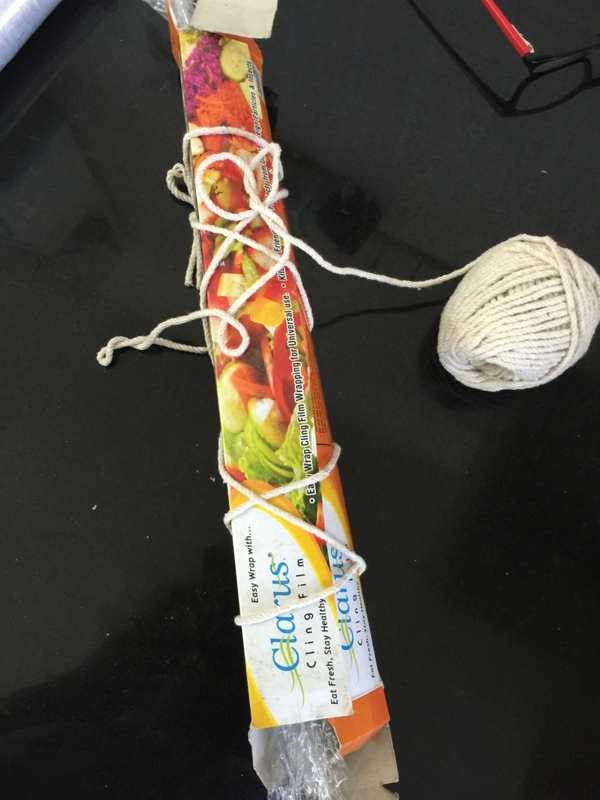 just wanted to know ….jjust in case…ccan we also use anything else instead of tuti futi frUti. Thanks for sharing the recipe. ….. Your receipe was right there!!! A BIG thanks!! Looks like God was watching me this afternoon! 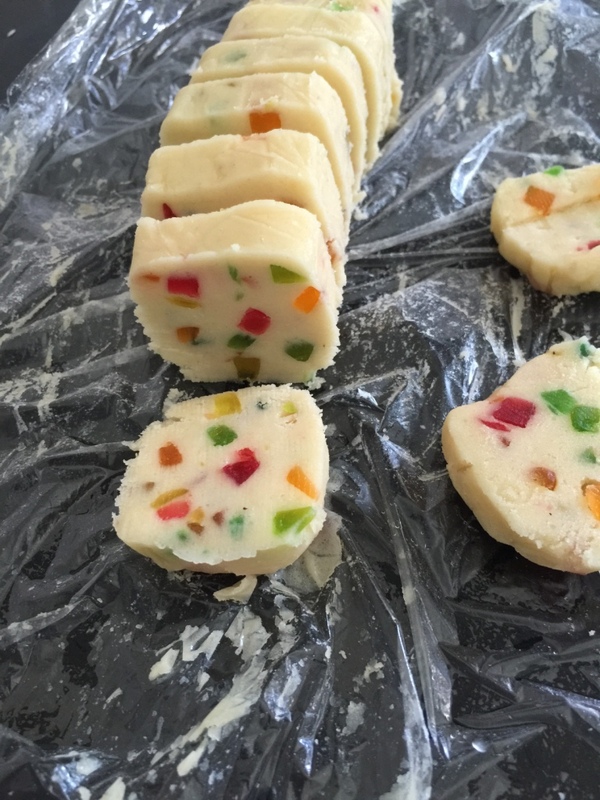 Keeping my fingers crossed to find Tutti-frutti in the Indian Shop on my next visit there! which are readily available in grocery stores here. Awesomesauce! Whoa! I love these Karachi Biscuits! & VOILA.. now I can make them in my kitchen! Thank u so much Garima! ❤ Yay! Hey these are so beautiful Garima.. And very tempting too. Can i use a pressure cooker to bake these cookies?? Any inputs for the same will be so very helpful. I dont have a Microwave and my oven is out of order .. I would just live to try these. I’m afraid I’ve never baked in the pressure cooker and have no idea. Thanks Amy. I’m afraid I’ve never baked in anything apart from my OTG. And I have no idea about baking in the microwave or pressure cooker. These biscuits look amazing. I have tasted Karachi biscuits and love them. Looking at your pictures I can imagine its buttery crunch. Good job, Garima! And lovely of you to drop by. Hi..would love to mske these mouth watering cookies. I donot have a weighing machine…can you pls tell how much butter is needed in vups or tbsps pls.. If at first you don’t succeed? These look lovely, they remind me of shortbread, but with such a different flavor base than I’ve ever seen. Thanks for bringing these to Fiesta Friday! Very sweet of you to drop by. It appears you have used too much butter. Please weigh the ingredients and do remember to put the dough in the refrigerator for half and hour at least. They look amazing, I absolutely love the colours! What an amazing recipe – I’ll have to give these a try! 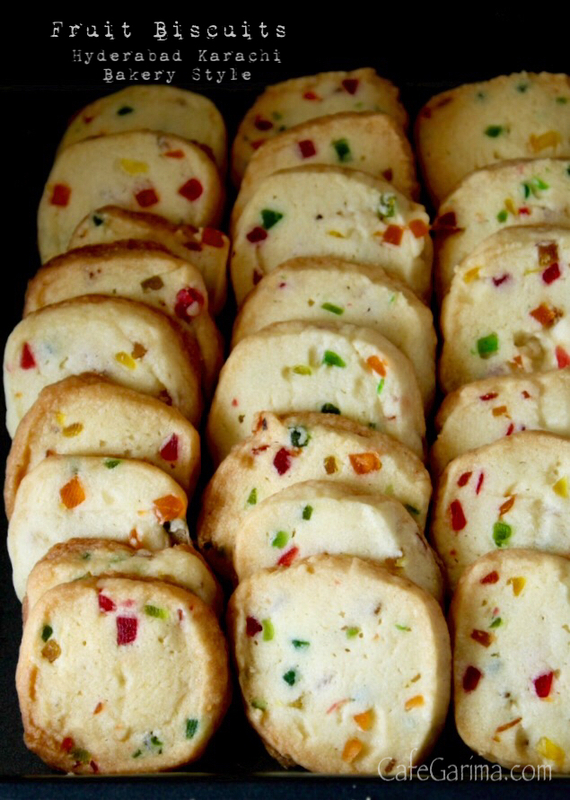 What festive looking shortbread–perfect for Fiesta Friday! Your description of the texture sounds so appealing…! I tried with half aata and half Maida. The cookies turned out too soft and crumbly so I ditched the idea. you have used baking sheet lined with parchment paper during baking. is it necessary in the process or can we directly keep the refrigerated dough on baking tray and bake ? or is there any replacement for it? 2) during mixing the refined flour with butter mixture, we dont have to kneed it. so is it like we have just to mix maida in mixture or have to mix it well till it gets elastic ? I think a video can help better. let me know if you have any youtube video. 1. 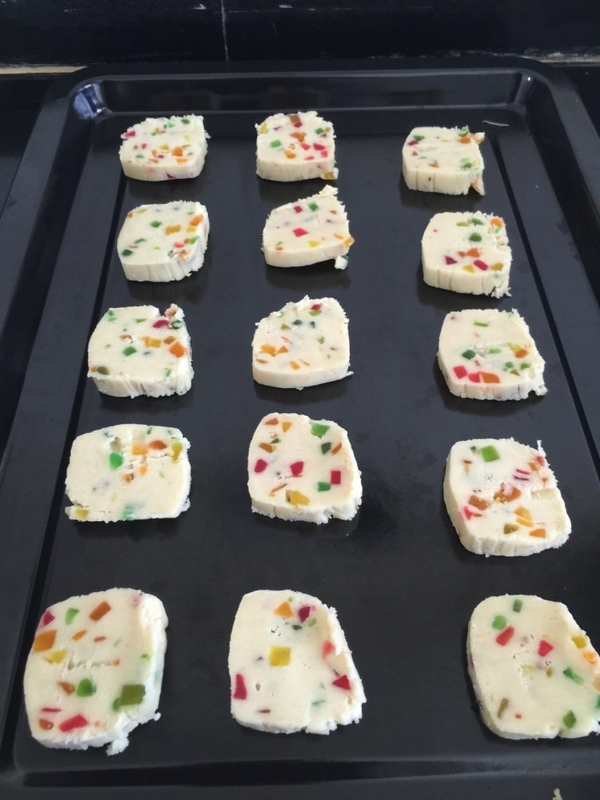 You may keep the cookies on the tray directly if it is non stick. Alternatively you may grease the tray and proceed. 2. The mixture has to be mixed just enough for it to come together. 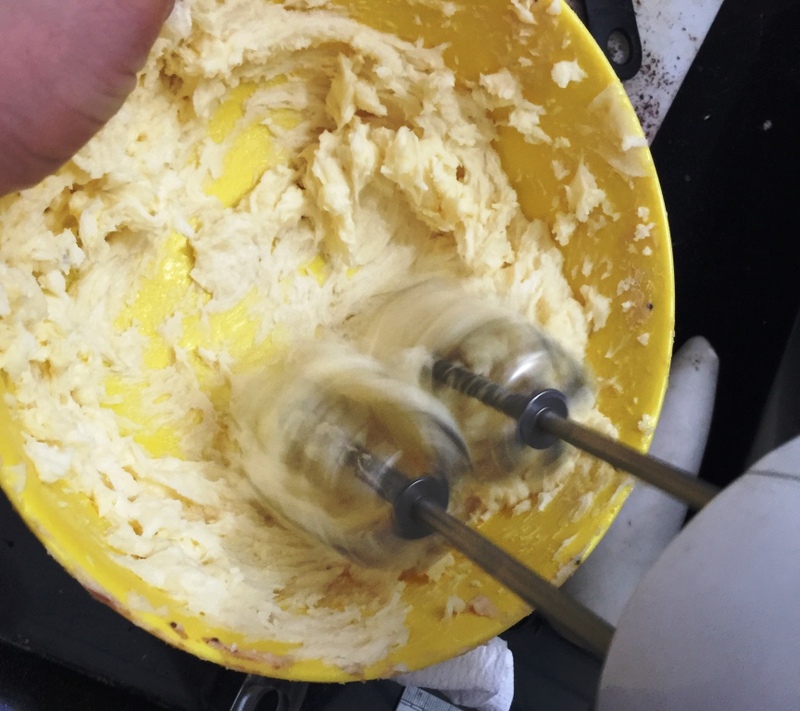 We never ever knead cookie dough. Kneading develops gluten which will destroy the cookie texture and we don’t want that. Gently being the dough together to form a ball. Do not knead. Sorry I don’t do videos. My favourite Indian biscuits.. I too had tried my hands on these and just loved it to the core..
Hi, Garima I tried this biscuits today and compared with original biscuits packed one which available on super markets yours is not the exact real taste needs to be modified on recipe .. Biscuits turned out very hard. Lets hope for best let me too try with some other recipes better luck next time ! Thanks for writing in. The recipe has been tried by at least two dozen friends and has worked well for them. I’ve baked off the recipe quite a few times myself and they are soft and crumbly. Sorry to hear the recipe didn’t work for you . Also, I didn’t claim they were the exact same taste. Though I did feel they were close. Hope you get better results with another recipe. Your recipes are always amazing. Have a small baby so don’t get much time to make everything but i keep treating my eyes to your awesome dishes. but i guess these biscuits i am going to try. Just a small query, u have mentioned that vanilla extract can be used. The particular fragrance in the biscuits is that of rose extract na? So if i want the same exact essence then i shall use rose? Yeah you’re right. In fact rose extract is what I use. Vanilla is an option if you don’t have rose handy. A good quality rose essence should work well. As i said i will try the biscuits, i did but didn’t have rose extract so used roohafza (2tsp). Came out ok ok.. roohafza had very very strong fragrance. Sugar though i put a little lesser coz i knew roohafza will increase the sugar content but still they seemed extra sweet.. they were a little too soft, probably because i had to use 2 tbsp atta as didn’t have enough maida..
Hi Garima, these biscuits look so tempting … i have a small query though.. u ve mentioned twice in the recipe to add butter.. wasn’t butter and sugar mixed in the first step only? will definitely try.. There is just once that butter is added. When I mention it the second time, I refer to the butter sugar mixture which needs to be incorporated into the flour. With the exact measurements the texture comes out absolutely melt in the mouth. If the butter is even 10 grams less, they get crisp. And yeah. Over baking could definitely be a reason. Pull them out of the the oven as soon as the bottoms brown. Thank you Garimaji. The biscuits came out awesome. 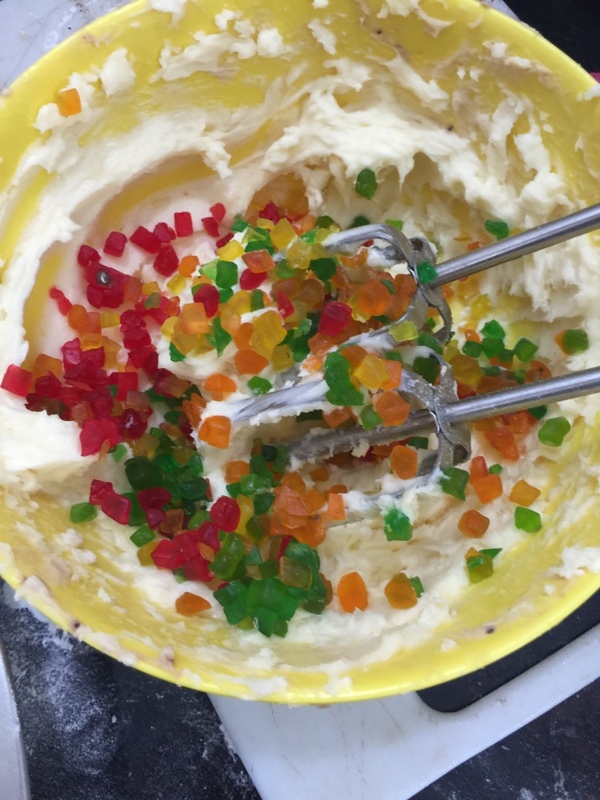 Lovely discription of your recipes…would love to try them….God bless keep baking. Hello Garima ji…… lovely recipe. …. just put the log in the refrigerator. 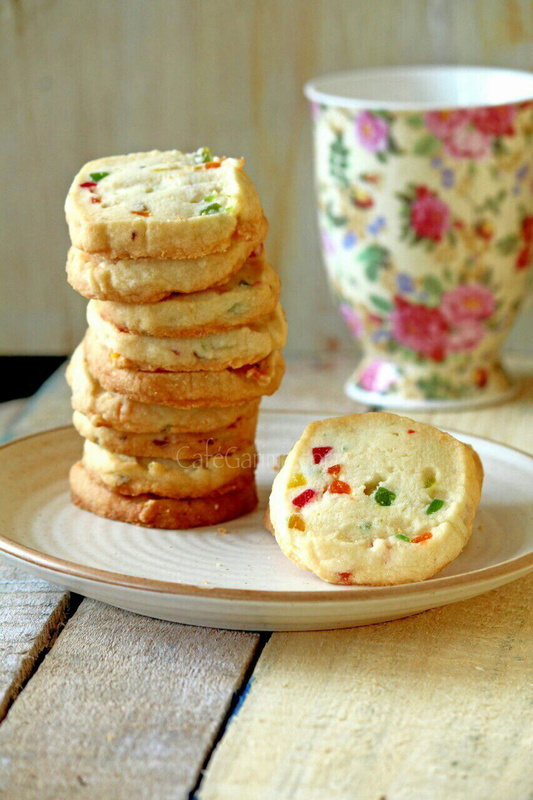 … my hubby specially requested to make karachi biscuits. …. hope they will come out well. … thanks for the elaborated recipe. It should be half a cup of softened butter. I haven’t tried with ghee so am not sure. 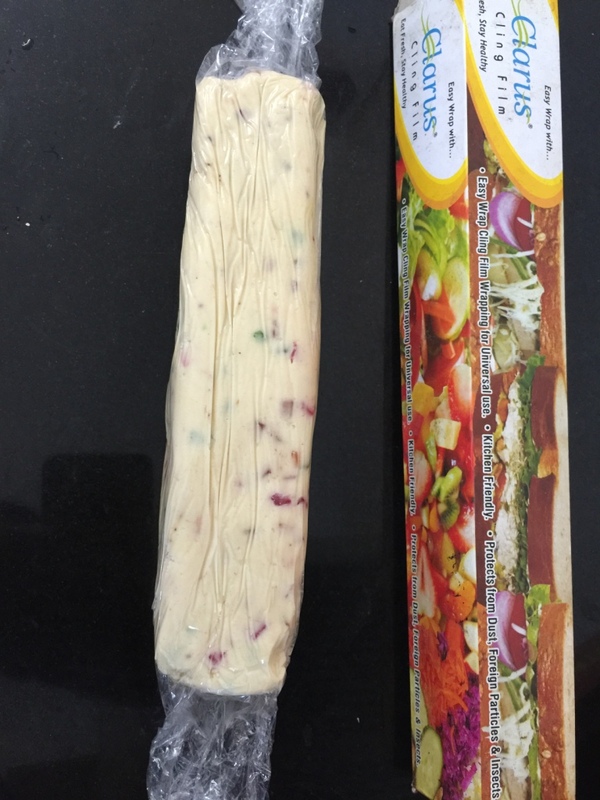 Mam, you have mentioned – unsalted white butter, so does that mean we can use home made butter ? Thank you mam, i have home made butter, will use it, thanks. Is it necessary to beat the butter and sugar mixture?i don’t have the beater.is there any other way to do it? 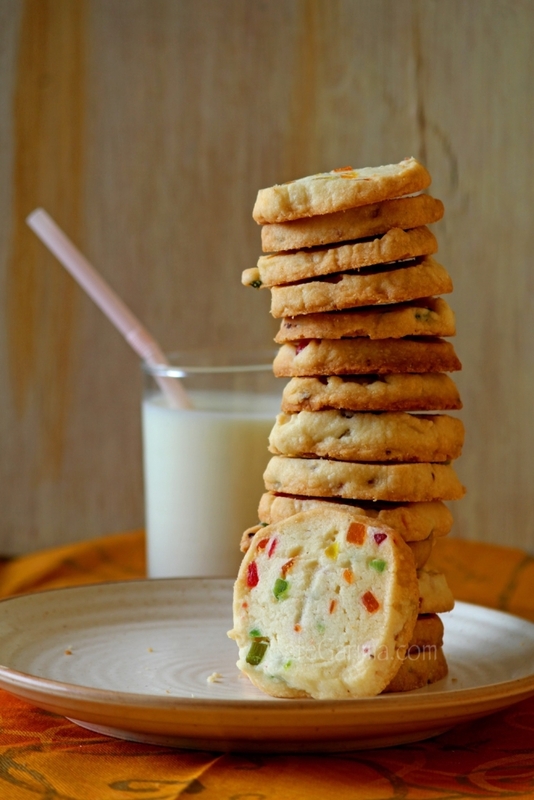 Hi Garima, the biscuits were just awesome. Thank you for such a wonderful and easy recipe. 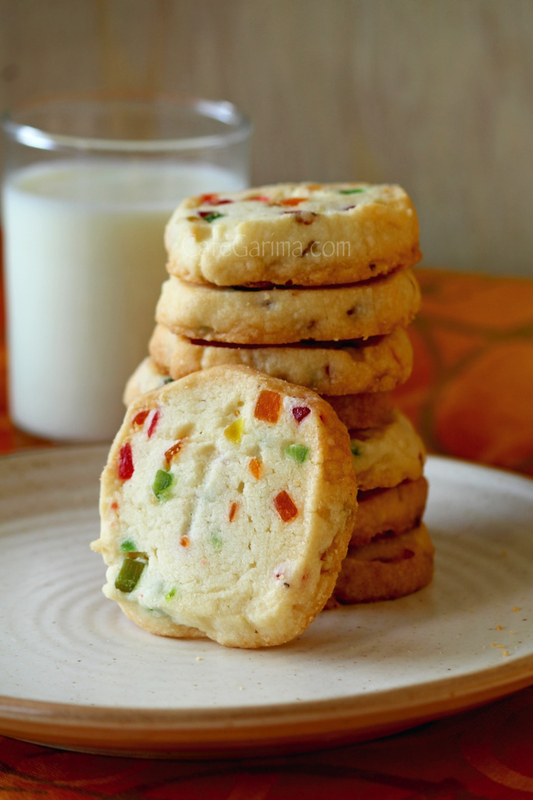 Hi garima… I can’t thank you enough for this receipe .. This is my husbands fav and it’s always on the to buy list from India.. I first refrigerated the dough for an hour and the mixture was too crumbly for me to cut into squares( they became powder). 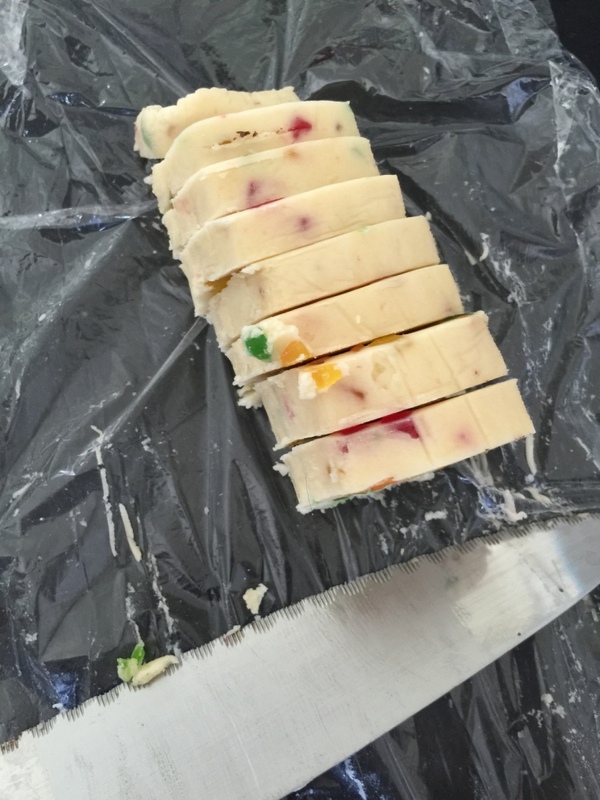 Then I refrigerated it whole night but still could not cut iNto squares. I followed the exact measurements (1stick or 8 tablespoons butter) . I will try again but please let me know what could have gone wrong.. I also used vanilla extract instead of rose. I wonder why this happened! I make them regularly and have never faced this issue. Try adding a little milk to bind it. I am planning to bake these today, would like to know if i can use Home made White butter instead of Amul butter, Also please tell 110 gm butter measurement in Cup size. Waiting for your response. Hi garima , I baked them , but mine got brown from bottem in just 5 minutes, can you tell why so , where they were raw from top. So i need to flip them and bake again for 5 minutes.. I am having Morphy richards OTG, and i baked it on Black Tray and greased it well , and put tray in Middle rack. You got to try. Yeah maybe 150 if 175 – 180 is heating too fast. It’s very difficult to say as each oven differs a little in heating. I gave this recipe of yours to my mom. They came just perfect. Exactly the pictures that you have shown. I have a query, have you tried making rusk? would love to know its recipe from you. It turned out vey well the first time …but now every time i make the dough its sticky. Please guide me dnt know where iam goin wrong . There is no reason the dough should be sticky. Specially after the refrigeration. I have never faced this. I’m happy you liked these! mam, if i dont hvae parchment paper, can it put i directly on the baking tray ? if yes, how ?